Producer, multi-instrumentalist and composer/songwriter Eric Silver, at his studio with his Genelec 8250A Bi-Amplified DSP Active Monitoring System. Photo by John Painter. NATICK, MA, May 18, 2010 — Eric Silver shows just how global a Nashville music professional can go. Silver is well known in Music City as a producer and multi-instrumentalist – guitar, mandolin, violin, banjo, bass and piano – on tour and on tracks for artists including Keith Urban, Cyndi Lauper, Shania Twain and Victor Wooten, and as an award-winning composer on over 15 million albums sold, penning hits for artists like The Dixie Chicks, Diamond Rio and Michelle Wright. But he has also created a parallel career as a solo artist and music producer in Brazil, where his forthcoming album is set to join his international discography, which already encompasses over 70 of his songs cut by Brazilian artists, including the million-selling acts Rouge and Nathália Siqueira, and recording projects with pop-rock sensations NXO and Titas and Brazilian rapper Tulio Dek. With such a diverse skill set and workload, Silver needed monitors that would give his personal studio the ultimate degree of accuracy. He found exactly what he was looking for in the award-winning Genelec 8250A Bi-Amplified DSP Active Monitoring System. Genelec’s acclaimed AutoCal™ automated calibration system and Genelec Loudspeaker Manager (GLM™) control network allowed Silver to tune his room like never before. The compact and powerful Genelec 8250A bi-amplified DSP monitoring system boasts performance comparable to much larger systems and is ideal in applications where a wide frequency response is needed but space is limited. The 8250A is the ideal monitoring tool for recording studios, post-production houses, broadcast installations, digital edit suites, home studios and mobile production vehicles. The 8250A builds on the rock-solid technology of the highly acclaimed 8050A, featuring an ingenious, flow optimized, reflex port that provides solid, clear and articulated low frequencies without compression, distortion or port noises. Combined with the advanced Genelec Directivity Control Waveguide™ (DCW™) and the rounded edges and gently curved front and sides of the MDE™ (Minimum Diffraction Enclosure™) enclosure, the result is an astoundingly flat frequency response both on and off axis. Other benefits include superb imaging precision and minimum listening fatigue. Carefully designed DSP crossover filters with extremely steep roll-off characteristics feed dedicated power amplifiers for each of the low distortion drivers. The 8250A features magnetic shielding, overload protection circuitry and versatile room response controls as standard. The Genelec Loudspeaker Manager (GLM) control network and software enhances further the performance of the 8250A: it features adjustment of levels, distance delays and flexible room response improvement equalization with the reliable and robust AutoCal automated calibration system via the GLM control network. The 8250A has both analog and AES digital inputs in combination with a digital thru connection. 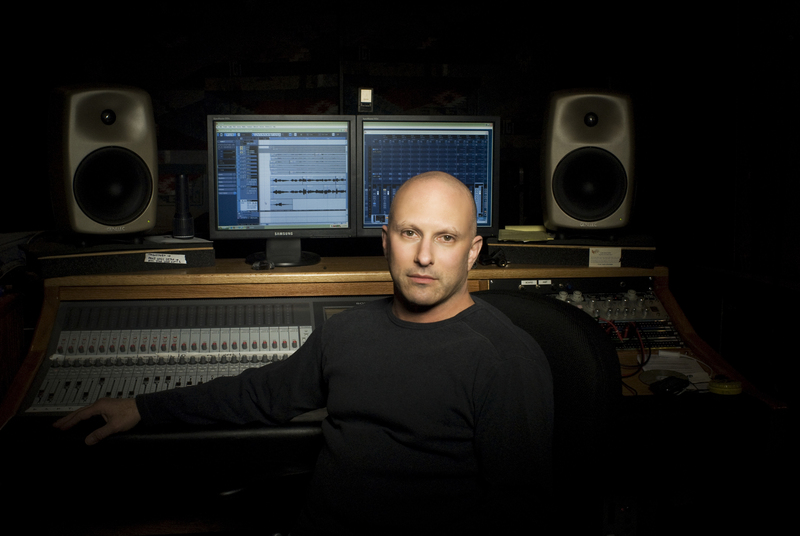 Photo Caption: Producer, multi-instrumentalist and composer/songwriter Eric Silver, at his studio with his Genelec 8250A Bi-Amplified DSP Active Monitoring System. Photo by John Painter.